When you pay big bucks for a smartphone you expect it to be flawless. That's why people make a big deal out the problems they find on a flagship device. Things are no different with Google's new Pixel 2 XL, which exhibits some serious issues. The problems stem from its display which, put simply, is not of the highest quality. Users have reported color shifting when looking at the screen from an angle, poor color reproduction and, most-recently, burn-in. That last bit is especially worrying because the Pixel 2 XL has only been around for a couple of weeks. Android Central's Alex Dobie posted a photo of the flagship on Twitter showing what he calls "some pretty wild OLED burn-in" after about a week of use. Burn-in is a concern with OLED panels, but it is rare for it to occur so early in a product's lifespan. This will, no doubt, put some people off buying the Pixel 2 XL -- or the Pixel 2, for that matter. 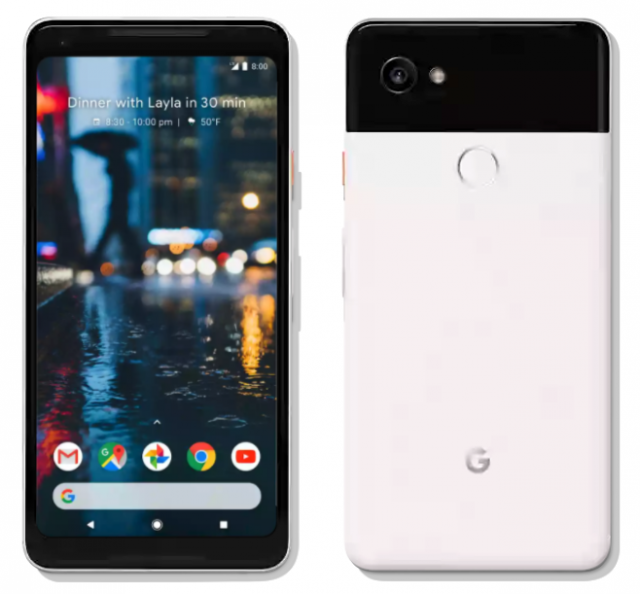 The Pixel 2 XL is arguably the best option of the two, mainly because it has a cutting-edge display (at least in terms of specs, if not quality), so it's understandable if potential buyers will look elsewhere -- like at the Samsung Galaxy Note8, for example, or Apple iPhone 8 Plus. Even the Pixel 2 is not without fault. A new report suggests that it suffers from clicking sounds when being used on speaker during calls. The Pixel 2 XL is also said to be affected by this issue, though to a lesser extent. These sort of things can, and most likely will, get resolved in the end, and it is good to know that Google is looking into them. But for early adopters they can be so frustrating as to lead to the units being returned. And that's a shame for Google as well, as the company tries to make a dent in the smartphone market.